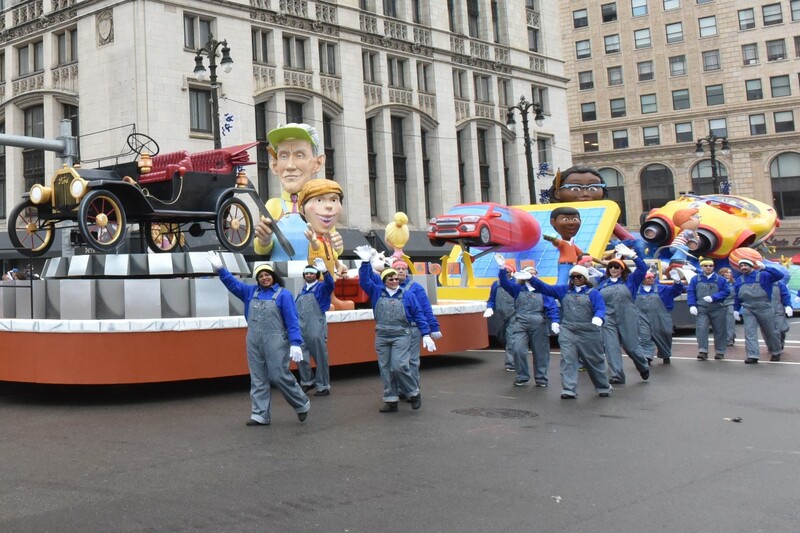 Ford will again be the driving force in America’s Thanksgiving Parade with more than 45 Ford vehicles pulling floats and transporting celebrities for the big event. The all-new Ford Expedition will lead the annual community celebration and the Mobility One float will showcase Ford’s innovative future and legendary past. Ford is joining with Gleaners Community Food Bank and The Parade Company to encourage members of the community to help feed the hungry this holiday season. 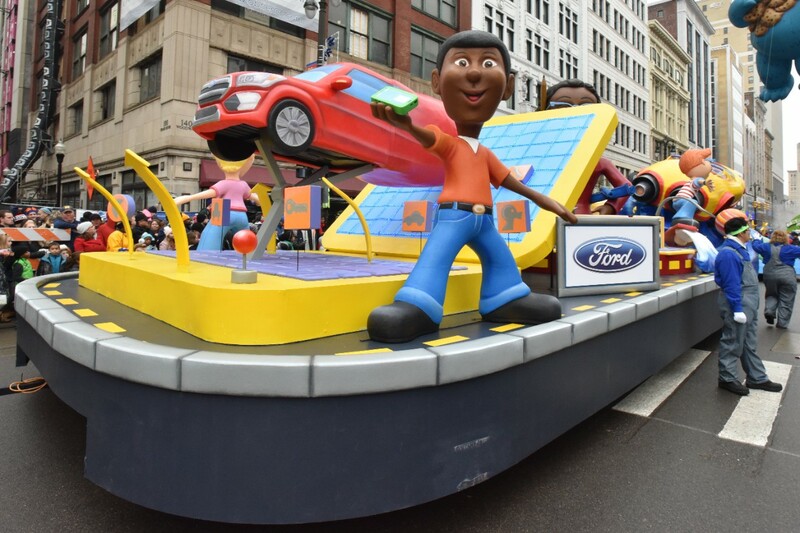 A new and expanded fleet of Ford SUVs will be doing the heavy hauling when the 91st edition of America’s Thanksgiving Parade - one of Ford Motor Company’s signature community events - rolls along Woodward Avenue in downtown Detroit. The parade on November 23 will be led by a trio of Ford SUVs - the all-new Ford Expedition, the legendary Ford Explorer and the all-new Ford EcoSport - the smallest of Ford’s sport utility vehicles. 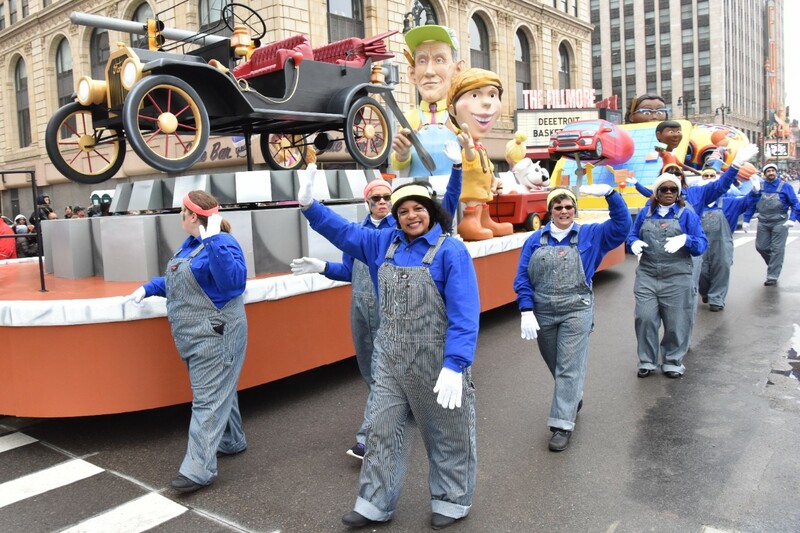 As the official vehicle of America’s Thanksgiving Parade, more than 45 Ford cars, trucks and SUVs will power the annual tradition by carrying celebrities and pulling the magnificent floats, including Ford’s Mobility One. This year’s theme is “Woodward!! Avenue of Dreams!” – a celebration of Detroit’s main thoroughfare, a revitalized downtown, and completion of the city’s new QLline streetcar system. Woodward Avenue has served as the route of holiday dreams for generations of Detroiters, who line the sidewalks year after year to kick off the season and catch a glimpse of Santa Claus coming to town. Ford Motor Company has been a driving force in the Motor City for 100-plus years, and Mobility One features a timeline view of the company’s rich history of innovation and its acceleration into the digital age of smart mobility and autonomous vehicles. Ford Volunteer Corps members will ride aboard Mobility One, while others will walk alongside the float dressed in futuristic costumes. Grammy-nominated singer/songwriter Big Sean - a participant in Ford Fund’s Men of Courage project - will serve as grand marshal, along with fellow Detroiter and long-time broadcaster Carmen Harlan. Paving the way for the parade is the annual Hob Nobble Gobble presented by Ford taking place tonight at Ford Field. Carnival rides, games and family entertainment of all kinds highlight this night of fun to benefit The Parade Company. Ford Fund, which works year-round to help people access basic needs and services, is once again joining up with The Parade Company and Gleaners Community Food Bank to feed the hungry. Gleaners reports there are more than 670,000 people in southeast Michigan – including 200,000-plus children – who do not know where their next meal will come from. A $20 donation can feed a family for a week. Contributions can be made at gcfb.org or by calling 855.315.FOOD (3663). Ford Fund is also teaming up again with Detroit Area Agency on Aging as part of the Holiday Meals on Wheels program – ensuring more than 6,000 homebound seniors can enjoy a Thanksgiving dinner this year. Ford employees, their families and the community will come together at Valley Services located at 1980 Bagley in Detroit next Wednesday to assemble freshly prepared meals for the community. Over the last 10 years, Ford and Ford Fund have made community investments totaling $166 million in southeast Michigan. Ford Volunteer Corps members have participated in some 10,000 projects with non-profit partners. Recent investments include a second Ford Resource and Engagement Center on Detroit’s east side, support for Cass Community Social Services’ tiny homes neighborhood project to reduce homelessness, and a fleet of 20 Ford mobile food pantries. Support has also gone to the Motown Museum expansion and the Detroit Symphony Orchestra’s historic tour of Asia. The annual Thanksgiving Day parade in Detroit is one of the country’s largest and longest-running. The parade begins at 8:50 a.m. at Woodward Avenue and Kirby Street near the Detroit Institute of Arts. The parade will be broadcast live on WDIV-TV from 10 a.m. until Noon.